The Labour party’s ruling body, the National Executive Committee, yesterday decided to adopt a controversial new definition of antisemitism. It did so in the face of near-universal condemnation from the Jewish community and overwhelming opposition from Labour MPs. Labour’s new code of conduct – which will be used to decide the disciplinary cases of those members accused of antisemitism – comes after it rejected calls to simply adopt the International Holocaust Remembrance Alliance definition of antisemitism and its examples. The IHRA definition is used by many governments, including the UK government, Scottish parliament and Welsh assembly, 130 local authorities, the police, Crown Prosecution Service and judiciary, and the National Union of Students. The definition is a single document, but, as Mark Gardner of the Community Security Trust has detailed, Labour’s new code treats it as having two parts. The party has accepted the notion that antisemitism is the hatred of Jews, but has then refused to adopt the 11 illustrative examples by the IHRA of what might constitute antisemitism. Labour’s new guidelines omit three key antisemitic statements relating to criticism of Israel: accusing Jewish citizens of being more loyal to Israel than their own nations, claiming the existence of the state of Israel is a racist endeavour, and comparing Israeli actions to the Nazis. They go on to argue that Israel’s “description of itself as a ‘Jewish state’” can “cause particular difficulty in the context of deciding whether language or behaviour is antisemitic”. Supporters of the new guidelines suggest that the IHRA definition curbs legitimate criticism of Israel. This is untrue. The IHRA clearly states that “criticism of Israel similar to that levelled against any other country cannot be regarded as antisemitic”. This assessment was echoed by Yachad, a left-wing campaign group which itself frequently criticises Israeli policies with regard to the Palestinians. Its director, Hannah Weisfeld, argued last week that the IHRA definition “reflects the vast majority of Jewish opinion”. The new code of conduct has been sharply criticised by the chief rabbi, Ephraim Mirvis. He warned the NEC that adopting it would send “a message of contempt to the Jewish community”. The chief rabbi said the NEC’s decision would mark “a watershed moment” and argued that by refusing to adopt the IHRA defintion in full, the party would be placing itself “on the wrong side of the fight against racism, antisemitism and intolerance”. Rabbi Mirvis’ call was echoed by 68 leading rabbis, representing strands of Judaism ranging from ultra Orthodox to Liberal, who signed a letter to the Guardian demanding that the Labour party listen to the Jewish community’s view. Particular criticism has focused on the Labour party’s seeming rejection of the Macpherson principle, which suggests that a racist incident is one perceived to be racist by the victim. The NEC’s decision yesterday was attacked by LFI chair Joan Ryan. She said: “I am appalled at the NEC’s decision which, once again, undermines the claims of Labour’s leadership that it intends to tackle the problem of antisemitism. 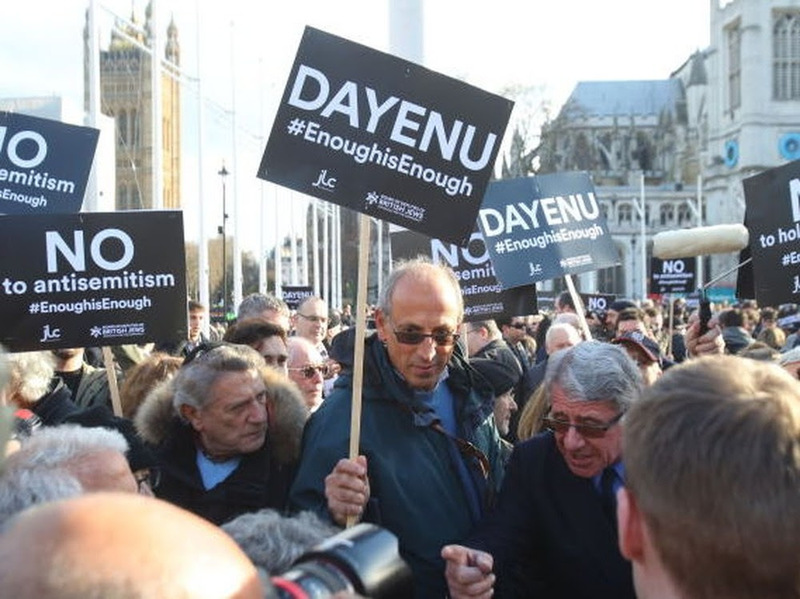 “The NEC has decided to prioritise the rights of those who wish to demonise and delegitimise the state of Israel over the struggle against antisemitism.